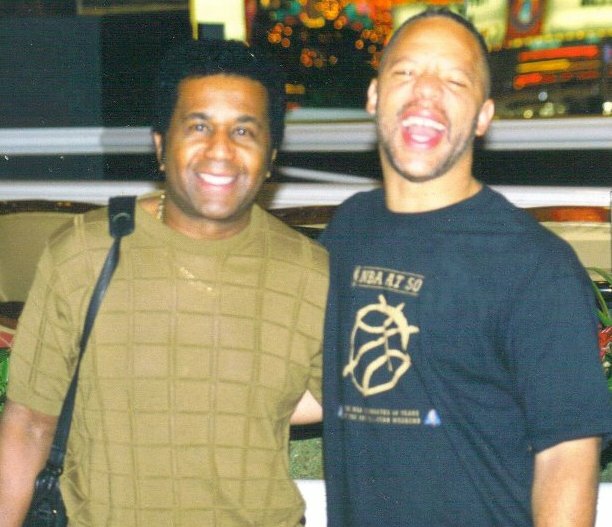 Emanuel Steward and Leland Stein III at the MGM Grand in Las Vegas. Final bell rung for Detroit icon. Well, no more dog walks together or eating that great barbeque. The final 10-count bell has been rung at Greater Grace and my friend, and more importantly, a friend to thousands has been laid to rest. 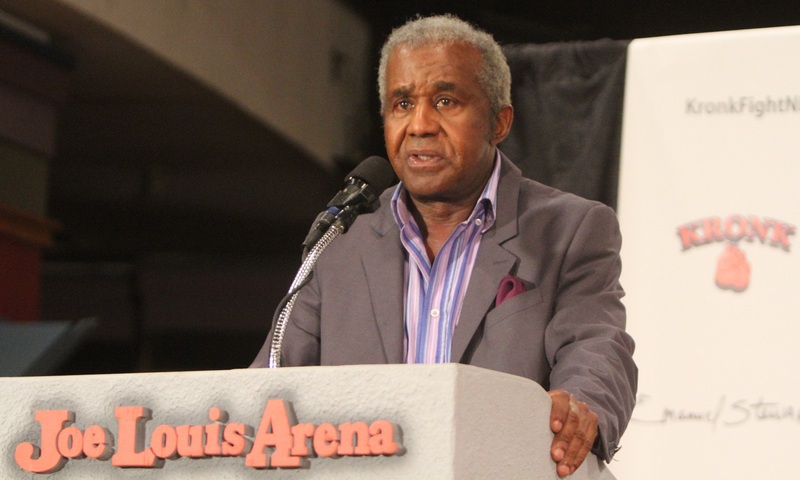 Emanuel Steward a certified Detroit and international icon has gone home. The humble founder of Detroit Kronk Boxing Team, an HBO Boxing commentator and Hall of Fame trainer, probably would have blushed if he could have seen the spectacular celebration given to him by the multitudes of pugilist, media peers and admirers. Men and women from all over the world found their way to Detroit to honor a man that only wanted to help others, the only way he knew how. Get them in the gym and in the process sneak some life lessons to them that more times than not stuck. In all our dog walks and general conversations he never bragged about the company he kept and experienced. 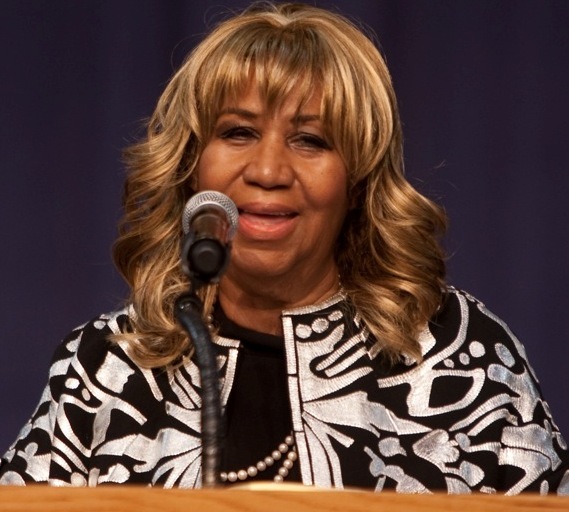 He just would have been happy to know that Mayor Dave Bing, Aretha Franklin, Judge Mathis, Southfield Mayor Brenda Lawrence, Bob Arum and Jim Lampley were there to celebrate his noteworthy life. But he would have been impressed with the pugilist that came to acknowledge how he turned good athletes into champions. 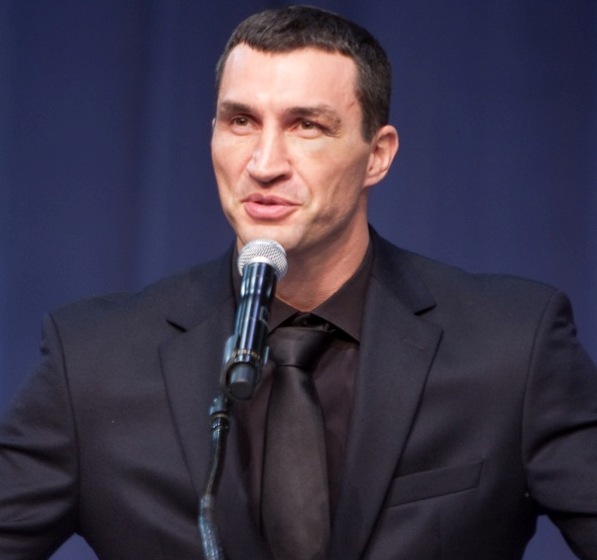 Some of those champions in attendance were Sugar Ray Leonard, Hilmer Kenty, Milton McCrory, Lennox Lewis, Vitali and Wladimir Klitschko, Thomas Hearns, Michael Moorer, Evander Holyfield, Iran Barkley, Jimmy Paul and Roy Jones, just to name a few, were all there and spoke of the legendary memories that Steward has left us all with. Champions Lennox Lewis and Thomas Hearns. Frank.lin, the Queen of Soul, stood in the church pew and blasted out a special ad-lib song that was generated just for Steward. Breaking me down even further was Hearns, who Steward took off the streets and turn into a legendary multiple champion. Leonard called Steward a trainer of life. “He saved the lives of kids out there by putting them in a sweaty gym,” he recalled.